Bethel Church's Bill Johnson explores the ways that our prayers can be a force for ushering in the Kingdom of Heaven on Earth today. Want more of God in your life? Experience the Supernatural as a Natural Way of Life! Bill Johnson, respected pastor, bestselling author and senior leader of Bethel Church, lives in a culture of the miraculous. In his groundbreaking new book, The Way of Life, he shares not as a theological spectator, but as an active participant in a historic move of God that has been sweeping the nations. Create a supernatural "greenhouse effect" that impacts the world around us through practising Kingdom values. Sustain a flow of God's supernatural power in your life, your family and your church community. Develop a culture that values wholeness—body, soul and spirit—where the Kingdom has a tangible impact on every area of our lives. Building supernatural relationships through honour and seeing the significance of every person. Walk in the completed work of the Cross because you are grounded in an "It is Finished" theology. Partner with the Presence of the Holy Spirit to transform the everyday places where God leads you. 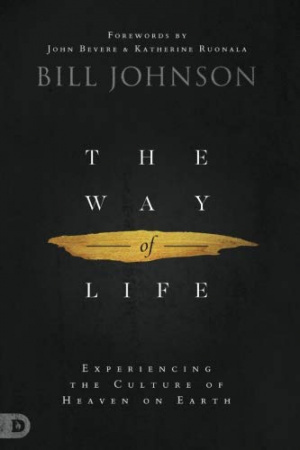 The Way Of Life by Bill Johnson was published by Destiny Image, Inc. in September 2018 and is our 1101st best seller. The ISBN for The Way Of Life is 9780768442748. Be the first to review The Way Of Life! Got a question? No problem! Just click here to ask us about The Way Of Life.